Hurricane Irma-We’re Here to Help! As most of you know last week the State of Florida took a direct hit from Hurricane Irma. Marion County was deeply impacted and more than we ever expected. Rountree Realty is very fortunate to be up and running as several offices and businesses are still without power and water and are still unable to open. Rountree Realty is all about helping others in our community – it’s what we do best! It is a lot easier to get through difficult times when you have the support of others and that is why we’re here! 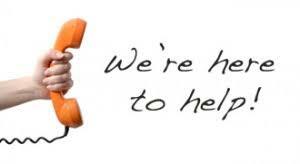 If there is anything that we can do to help you please give us a call. I have a list of trusted vendors that would be able to help with roofing, electrical, tree removal, well/septic and more! Below is also a few links to organizations that would also be able to help assist you. Federal Disaster Recovery Center (DRC): To find a center near you to go to for guidance, use the DRC Locator or text DRC and your zip code to 4FEMA (43362). I hope all of you and your families are safe from the storm. Again, if there is anything we can do to help you, please give me a call at (352) 572-1739.